- Easy operation: Simply slide the security lock to open after filling up the butane, press the ignition button and then the flame lit. - Adjustable flame size for intricate jobs, max. flame temperature reaches up to 1300°C/2370°F. - Two adjustable flame types: Jet torch flame(temperature is 1000-1300°C/ 1832-2370°F) and regular flame(temperature is 400-500°C/ 752-932°. - Safety lock: Security lock prevents accidental ignition, which also can be functioned to lock the fire when in use, no need press the ignition button all the time. - Ergonomic non-slip handle for gripping securely. Handheld size and portable. - Reusable: You can fill the butane gas when the gas is exhausted, with little maintenance, this flashlight can serve you for a long time. - Utmost versatility: you can sear meats, roast peppers or make crème brûlée at home, also suitable for soldering, plumbing, arts and craft, etc. 2. 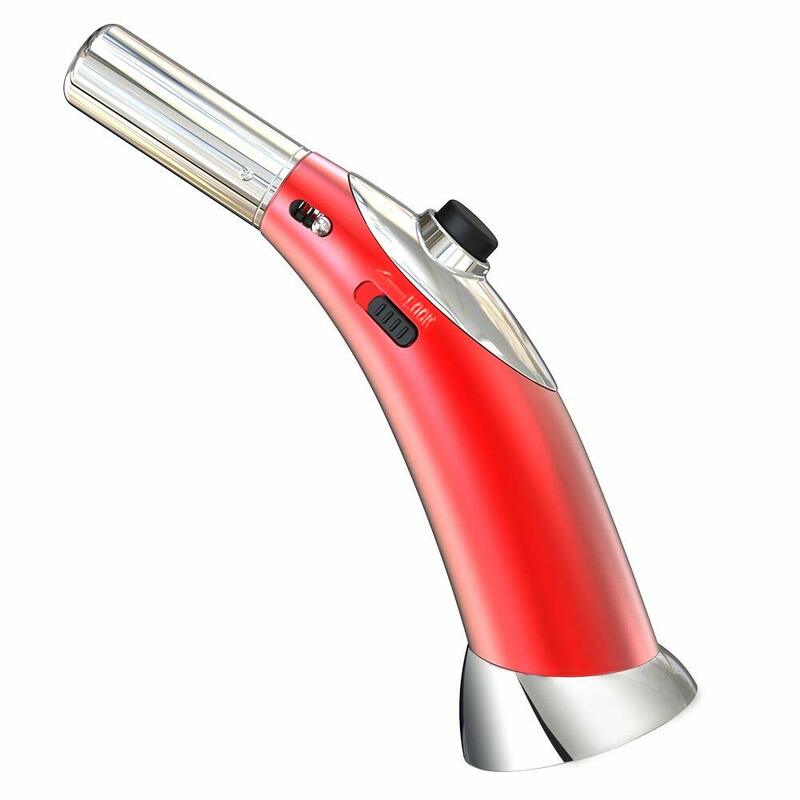 While in use, don\'t touch the flame nozzle in case to get a burn. 3. Keep it out of reach of children. After fully filled the gas, keep the torch rest for a few minutes before lighting; if use immediately, might make the exterior residual gas burning, DANGEROUS! 4. Always keep it away from fire, do not smoke when refilling the torch. Great for making Creme Brulee and more!